The Brahmi herb enhances all the higher functions of the mind. It targets the nervous system and improves neurological function in the brain enhancing the power of perception. The Brahmi herb benefits the entire nervous system by nourishing and calming the nerves. This allows sensory stimulus to be received and processed effectively; promoting less reactivity and more self reflection. Brahmi reduces stress, over-stimulation, headaches, anxiety & nervousness. The Brahmi herb bridges connections between various neurons in the brain. Increasing neurological efficiency it allows a larger portion of the higher cerebral functions to activate and promotes creativity. It can be used by musicians, artists, writers & those involved in the arts or sciences. The Brahmi herb aids the learning process of students by increasing memory recall. Excellent for attention deficit disorders, alzheimers, autism, drug addictions, & parkinsons disease. The Brahmi herb is useful for anyone needing to process large amounts of information and recall knowledge instantly. It improves learning ability and activates the frontal lobe of the brain to increase IQ and intelligence. It activates both the left and right brain functions to balance personality disorders such as depression, schizophrenia, mania, hysteria & other mental disorders. 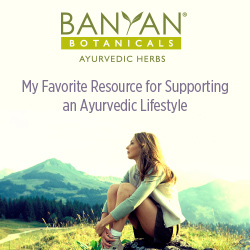 Click here to return to our ayurvedic remedies homepage.